ACRT Arborist Training is a part of the ACRT Services family, and their values are echoed throughout our organization. Our culture is built on employees who love being outdoors and seeing the country. Our instructors do a lot of traveling across the United States to bring our classes to our clients. Independence is something that is felt throughout our organization. It allows for a more engaged working experience for our employees and our clients. Training is a staple to the ACRT brand family culture, and our team takes pride in the opportunity to train the industry. ACRT was founded on training and education. It was so important to our founders that it became the “T” in our name. We believe in sharing practical knowledge. Part of our culture is the pride that our employees have in making people safer as a main part of their jobs. We want to extend our expertise to those who seek it. With every class we teach, our instructors are leaving the industry safer than before. We’re teaching people not to take shortcuts, and our employees enjoy staying on top of the latest changes in the industry. A big part of our culture is also the outdoors. Our trainers are not in the classroom all day, every day. Our small class sizes allow for trainers to build relationships with their students and the chance to converse with like-minded individuals. 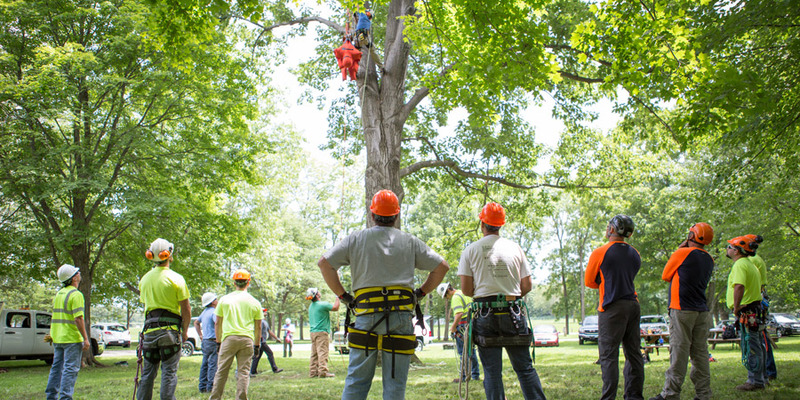 We’re helping mold the next generation of arborists.